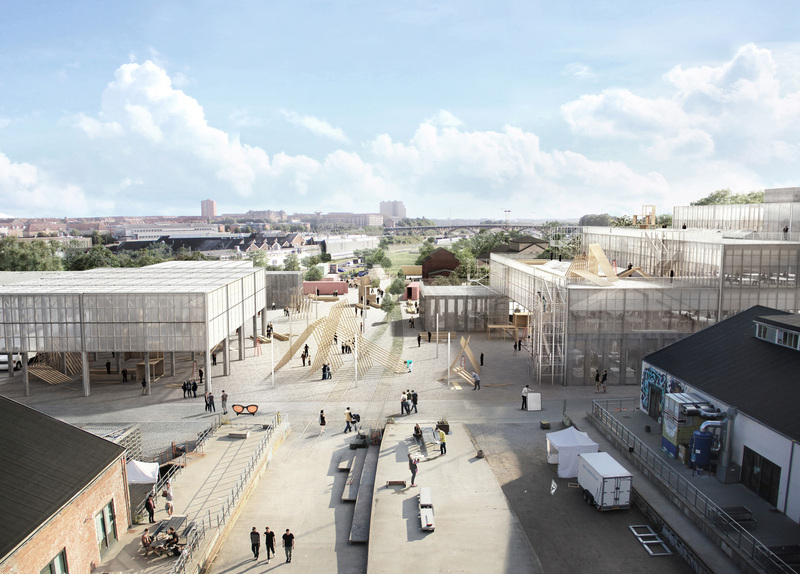 Vargo Nielsen Palle led the winning design team of the new Aarhus Architecture School. They focus on an integrated process, balancing architectural, technical, and economic factors into simple design concepts. The firm is led by three partners with a common vision – Brian Vargo (MAA, Harvard) is an American/Danish Architect with a background in both architecture and finance. His work focuses on the link between architecture and economy, finding strategies for the best design value. Jonas Snedevind Nielsen (MSc. Eng. 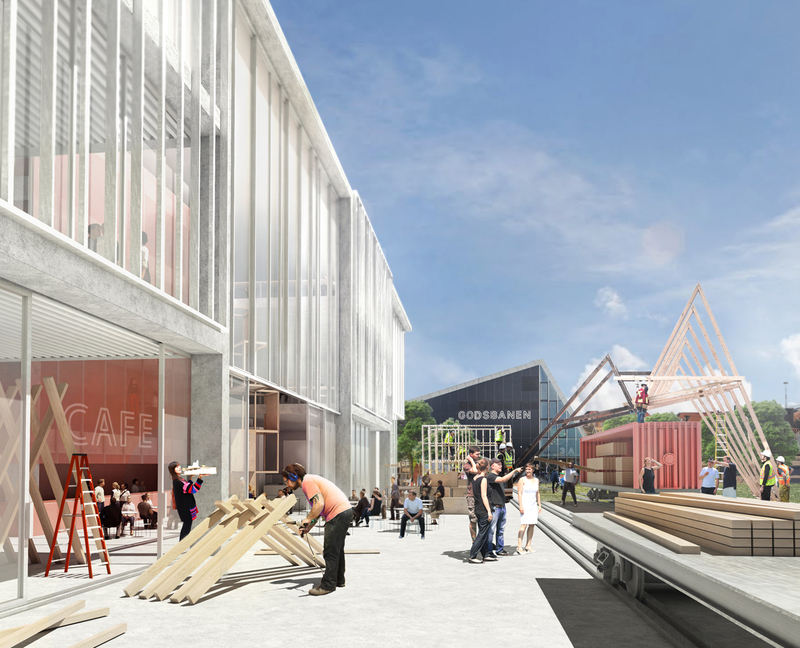 Aalborg University) focuses on developing multidisciplinary collaborations, an approach informed by a background in both architecture and engineering and his work with the Danish/Australian MADE program. Mathias Palle (MSc. Eng. Aalborg University) is the creative pragmatist of VNP, with a broad knowledge of architecture, construction, and engineering to get the right things built. A design process is only relevant if it creates value greater than the sum of its parts. Vargo Nielsen Palle practices this approach with a process beyond architecture, instead looking at the entire building process. We align architecture with all factors of building: finance, construction, engineering etc. A design concept shouldn't stray from these native factors of building the right thing in the right place. 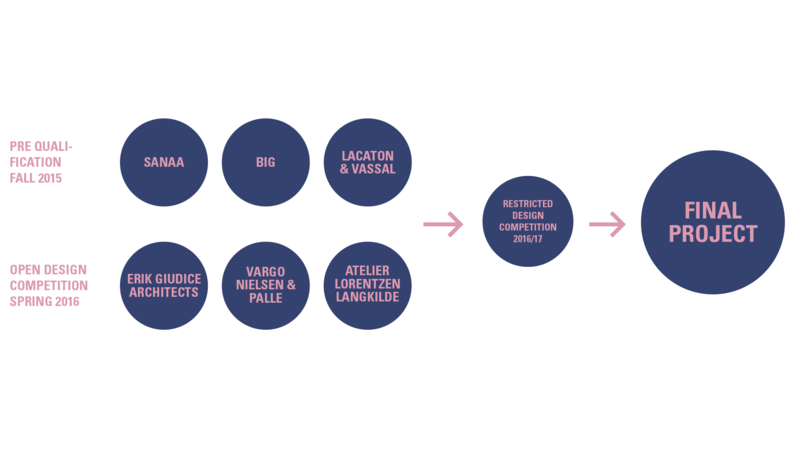 Rather, Vargo Nielsen Palle ties these factors into design concepts with added value. 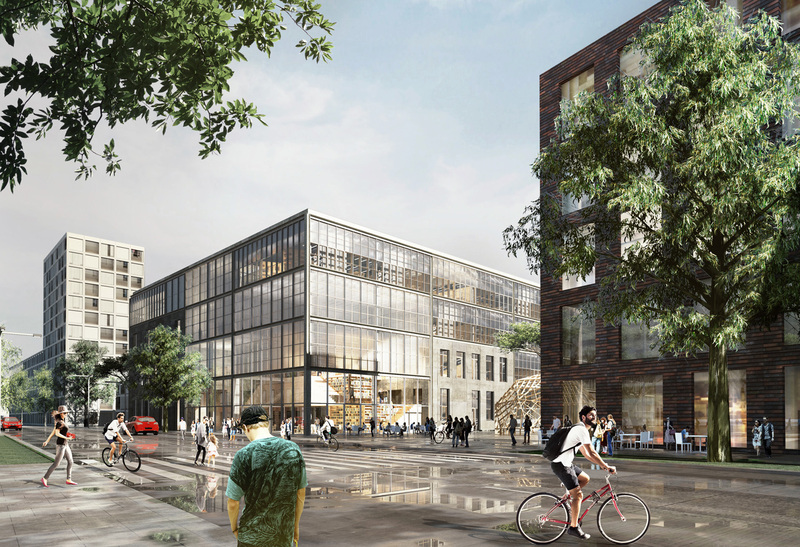 Vargo Nielsen Palle together with Adept, Rolvung og Brøndsted Arkitekter, Tri-Consult and Steensen Varming have won the international competition for the first newly built architecture school in Denmark. 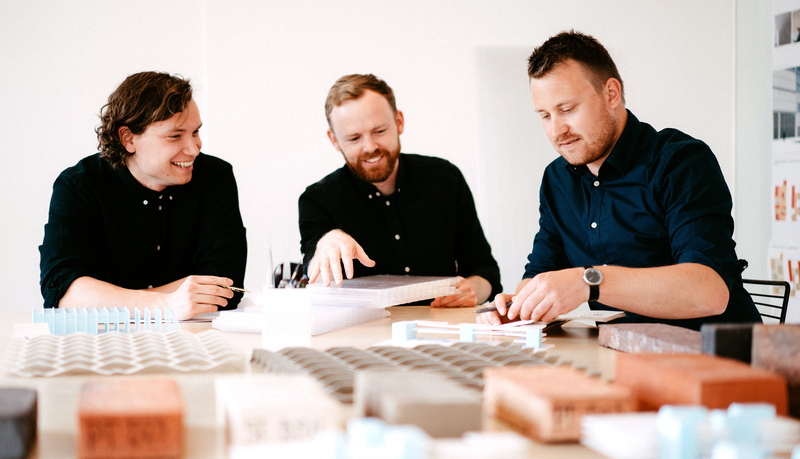 The team has a strong multidisciplinary approach, balancing architecture, engineering, and economy within a unified concept from Vargo Nielsen Palle's initial selection in the 2016 open design competition to the building's anticipated completion in 2020. We imagine a school of architecture as an open process rather than a defined typology – one that invites its own evolution by opening the border of where architecture begins. A school of architecture should be an experimental zone for the city. It should interact and integrate with its community as a creative hub. This creative spirit is already present in the local context of Godsbanearealerne. The school should continue this open space and help further develop with its experimental environment. In fact, the hub of Godsbanearealerne is the end of the open Green Wedge of Aarhus, the most significant reservoir of continuous open space into the heart of the city. It's a vital element of the city's heritage – a formal industrial railyard that now gives back the open space for activities, workshops and dialogues within the community. The school itself should be the background for this culture to become part of it. Meanwhile the school will be a major anchor of Godsbanearealerne's further development. The first Purpose-built school of Architecture in Denmark should be a cultural building with an urban presence. How do we meet these two scales? We imagine a building that complements this context as a unique link between the formal and informal developments of the city. A simple stepped volume meets the scale of the Green Wedge and also helps further shape Carl Blochs Gade as an urban corridor. 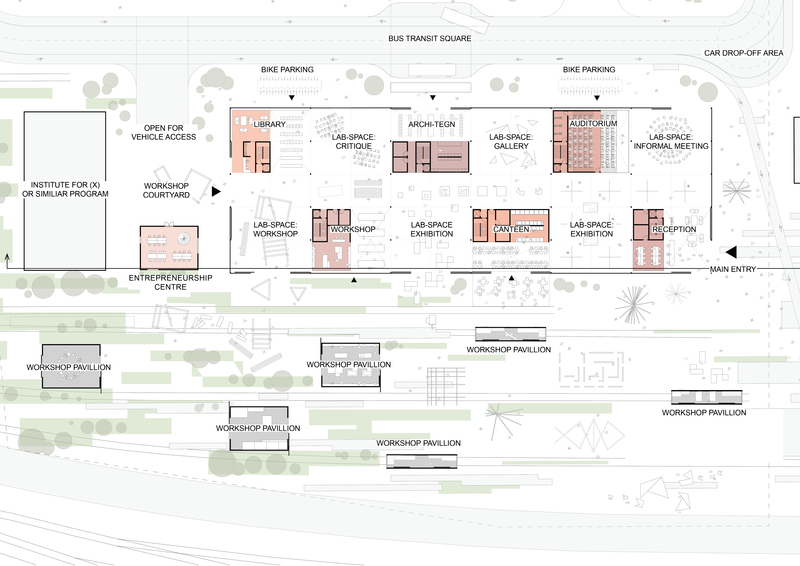 The school can then function in a way that corresponds to both an urban scale and the informal nature of its context. In this frame, the school will simply provide the tools and spatial canvas for experimentation, inside and outside, to let the students, teachers, and public naturally create architecture of all scales over time. 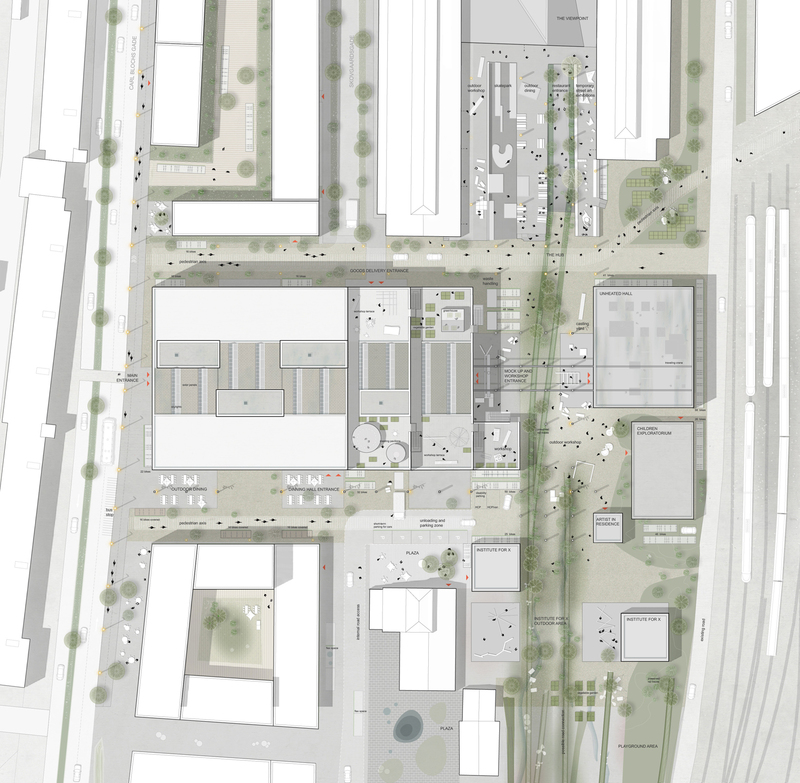 The building's anatomy should also relate directly to the existing scale of the site and Godsbanearealerne's former identity as an industrial railyard. The architecture begins with a vision of a robust, industrial kit of parts. From there, we integrate the systems, spaces, and functions of the building into a unified design concept - a robust, industrial laboratory for architecture. We begin with a site as an open frame, laying a robust structural grid that steps down to meet the scale of the Green Wedge. In this open system, the grid continues up as it approaches Carl Blochs Gade. These frame the studio workspaces of the school as an industrial building – open in plan and democratic by design. Within this frame we position a series of "toolboxes" – the specific programmatic elements and activities that are the school's workshops, heavier machinery, lecture rooms, and services. The "toolboxes" are arranged according to scale and program in a checkerboard pattern, creating a porous border and relating in space and scale to the adjacent context. They break down the scale of the building to complement the existing structures along the Green Wedge and can be shared with the public given their placement around the building's perimeter. Perhaps workshops can be used by artists or creatives outside the school, lecture facilities can be used for weekend events or evening meetings, and the school's library will act as the neighborhood reading room. 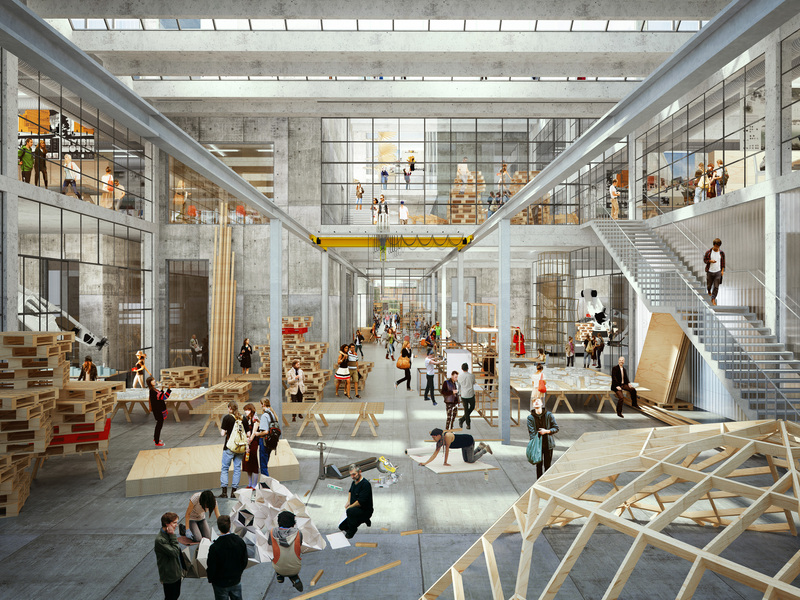 This is what makes a school of architecture a laboratory and not a factory: it is open to input, organic and informal, to encourage the mixing of ideas. Architecture should evolve with this influence. But to facilitate this mixing, there should also be the same spirit of shared open space as in the Green Wedge and even the courtyards of the current school buildings. We continue this open community space in a series of connected double high spaces. They are bordered by studios, public functions, and toolboxes, and become the mixing chambers where the chemistry of the school comes alive. Together, the frame, toolboxes, and mixing chambers create a laboratory for architecture. It is a diverse spatial matrix where various programs and activities interact in both planned and unexpected ways. As the floor plans progress through the building, they alternate in spaces that are closed or open, public or private, programmed or unprogrammed, etc. This playful composition is nothing but a simple kit of parts with functional relationships, but also an open narrative of spatial nuance, hierarchies, and connections. The system begins at the ground floor, where a checkerboard of toolboxes creates an open, porous border with the building's context. The building becomes just a part of the creative campus of Godsbane. The system of spaces creates a natural nuance of opening and enclosure that works as a puzzle piece with its surroundings. While the composition of spaces is unique and varied, their assembly follow a series of simple systems. The basic module of the floors above the ground floor follows a simple H-Plan, with studios on the perimeter and common functions in the center. 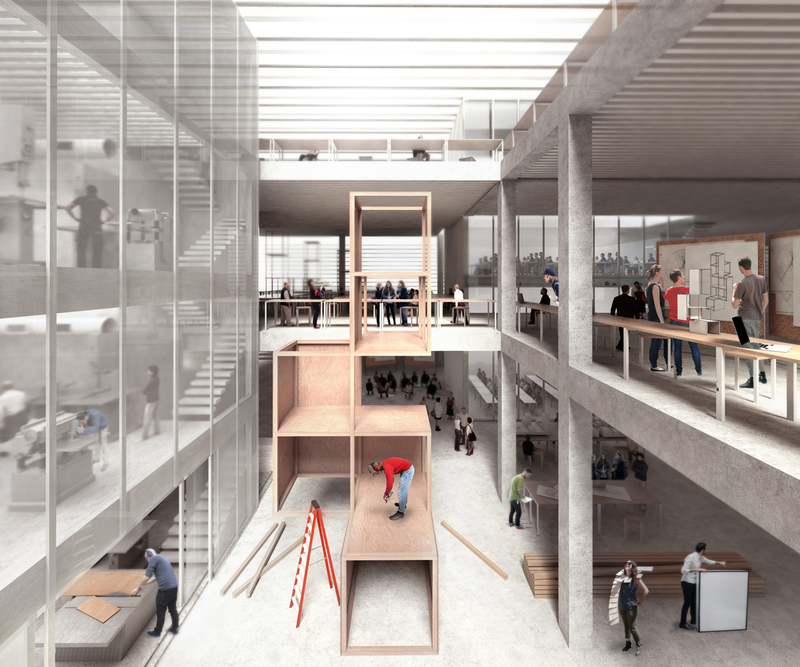 This module steps up into three floors, extending the common workshop space at the center of the building into the series of connected double-height mixing chambers. Within these common spaces the service cores alternate in a checkerboard pattern. These space the mechanical, circulation, and service components necessary for the building's operation within a playful spatial composition. This overlay of simple systems is evident in the façade and sections of the building. The basic checkerboard pattern and stepped floors create a naturally varied façade that alternates between different functions. The interior of the building similarly mixes vastly different types of space in close proximity. As you walk through the building, its spaces and functions open and enclose from side to side. They are purely functional and industrial in nature, but within their composition breaks the scale of a large warehouse down to the comfort level of an individual student's experience. Our initial project began with a simple concept: When given the right tools and opportunity, people create. Godsbanearealerne already proves this by providing the programmatic tools and open landscape, and a creative campus has already emerged over the years. The new Aarhus School of Architecture should further this experimental chemistry already present on site – It shouldn't just be a factory for architectural production; it should be an open laboratory that interacts with its context. A simple industrial warehouse frames a larger urban context connected to Godsbanen and the Green Wedge. Within this warehouse, a series of defined programs – toolboxes – anchor the activity around them. Open space around the toolbox creates a natural public space within the building, where people come together to create and socialize. Just as Institute for (X) provides the tools and workshops to anchor experimentation around them, these toolboxes flow in and outside the school, becoming a series of a pavilions in the larger open landscape. In this way, the boundary of the school is undefined. It is not just an institution – It is an open process for the evolution of architecture. 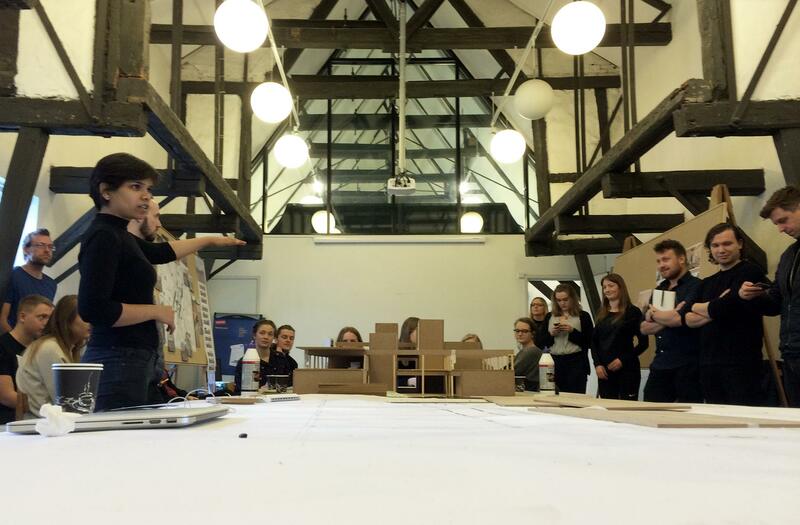 The team is already busy at work with a 3 day workshop with students from the Aarhus School of Architecture. Looking forward to get some valuable inputs!